The Kentucky Clinic, located on the University of Kentucky’s Medical Center campus, is a five-story building containing three levels for outpatient clinics, with offices on the top two floors. Outpatient clinics include Physical Therapy, Family Practice, Pediatrics, Pediatrics Chemotherapy, and Neurosciences. The clinics share common functions of registration, medical records, administrative services, and pharmacy. 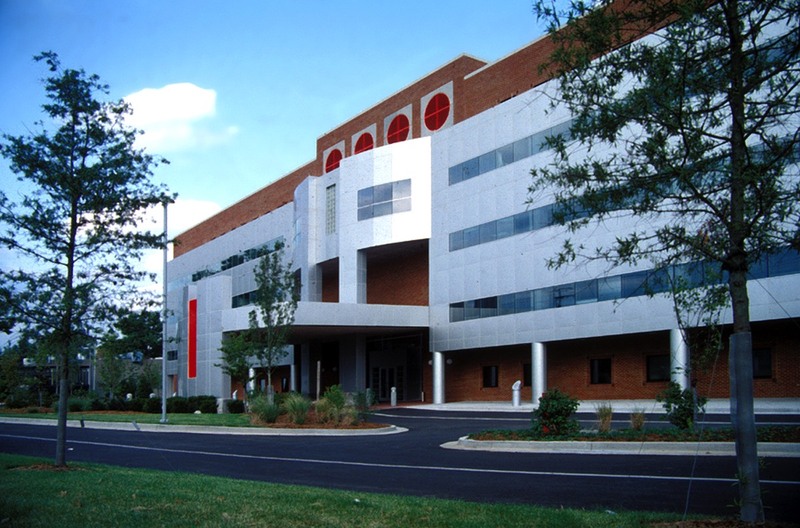 The building’s design requirements included a front facade that was easily distinguishable along Limestone Street and indicated its position as the gateway to outpatient facilities. Rooms and offices on each floor are designed around a central lobby area, achieving a very simple circulation flow. Waiting areas are oriented toward the front of the building, where large windows provide an outside view and maximum natural lighting.